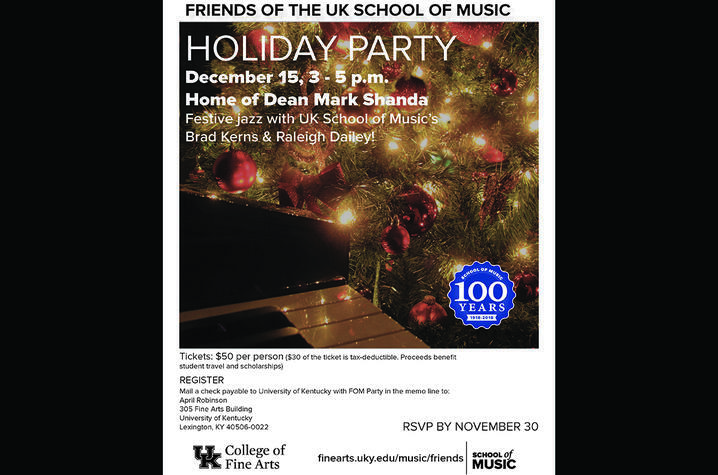 LEXINGTON, Ky. (Nov. 28, 2018) — The University of Kentucky Friends of Music invites the public to the home of College of Fine Arts Dean Mark Shanda for an afternoon of festive jazz with UK School of Music faculty members Brad Kerns and Raleigh Dailey. The event will run 3-5 p.m. Saturday, Dec.15. Shanda was named dean of UK College of Fine Arts Sept.1, 2017. He previously served as the divisional dean of arts and humanities in the College of Arts and Sciences at the Ohio State University from 2006-2011. Shanda is co-author of "Drafting for the Theatre," a theatre technology textbook that is used by the majority of theatre programs in the country. He is also a member and former president of the United States Institute for Theatre Technology Inc. (USITT). In spring of 2012, he was named a fellow of the institute. Kerns, who earned his bachelor’s degree in music education from UK and a master’s degree in music from Boston University, joined the UK School of Music's faculty in the fall of 2011. The associate professor of trombone has performed all over the United States and around the world. In recent years, Kerns has been asked to perform multiple times in Brazil at the Brazilian Trombone Association Conference and the DIAT Festival in Recife. He has been involved in approximately 30 different recording projects and has released five solo albums prior to his most recent album, "Splotch Ecology." Dailey, an associate professor of jazz studies, is an internationally recognized pianist, composer, scholar and educator. He earned his bachelor’s degree from Kent State University, a master’s degree from University of North Texas and his doctoral degree from UK. Dailey has performed in North and South America, Europe and Asia. In high demand as a composer and arranger, his work has been performed and recorded by numerous college, university, military and professional jazz ensembles. In 2002, he was selected to perform at the third annual Martial Solal Jazz Piano Competition in Paris. Daily has performed most recently at the Montreux Jazz Festival in Switzerland and the North Sea Jazz Festival in Rotterdam, Holland. Individuals registering are asked to provide a phone number and email in the memo line on the check for the organization to contact with the party's address on Escondida Way. The UK Friends of Music is a volunteer organization of music lovers dedicated to advocacy and financial support for the UK School of Music. The group works to provide resources to the school in its pursuit of excellence in both the performance and study of music. The organization contributes to the School of Music's scholarships as well as provides funds to its students and faculty to participate in musical conferences, festivals and performances across the U.S. and around the world. Friends of Music hosts several events each year in private homes, coffee shops and restaurants. These events usually feature a variety of music from faculty and students. 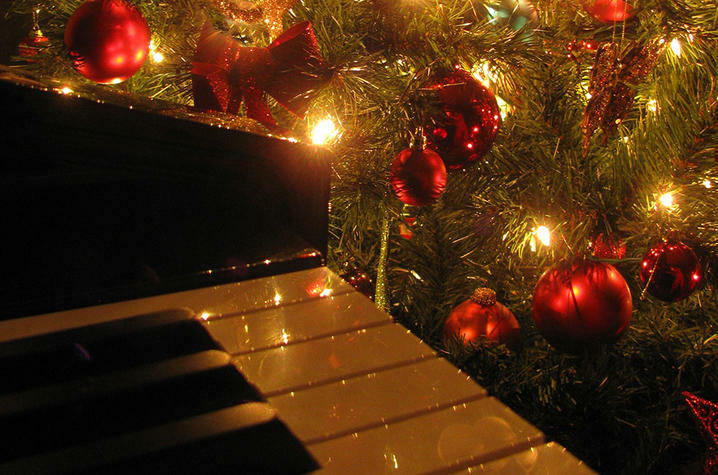 All proceeds from events are donated to the UK School of Music.